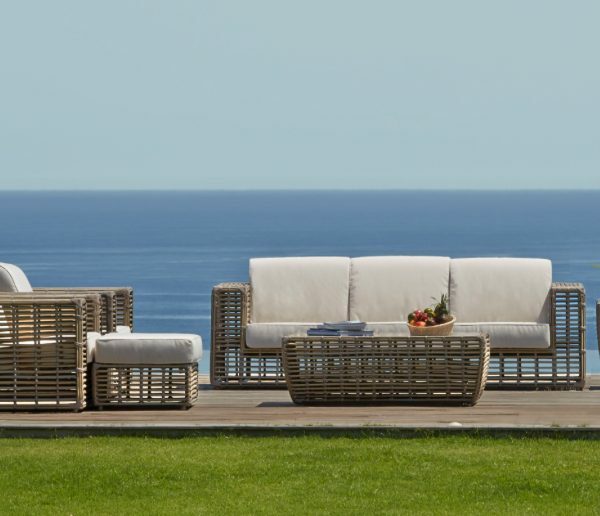 This collection is truly the comfort of indoor seating brought outdoors. 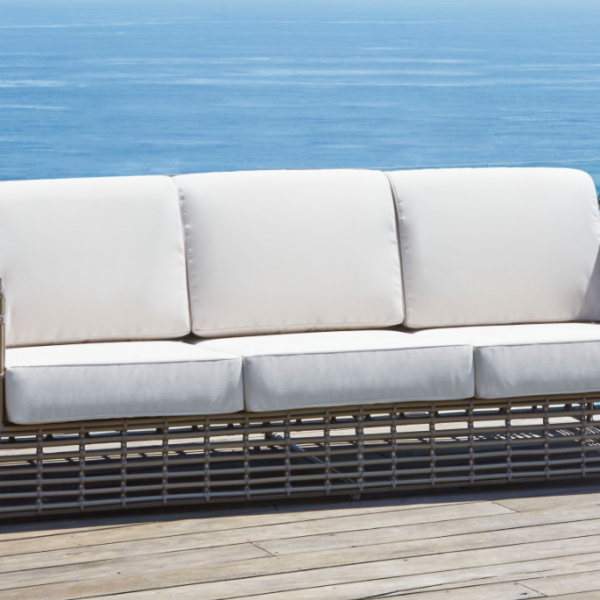 This collection brings a sleek and sophisticated look to any outdoor space. 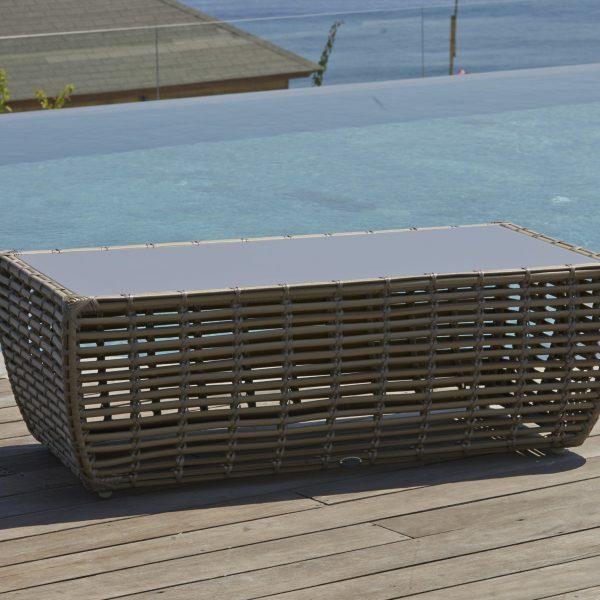 It is constructed of lightweight aluminum frames with the award-winning fiber by Viro over top. 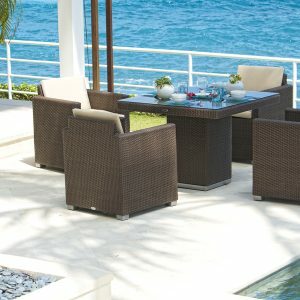 It is highly durable, weather resistant and easy maintenance. 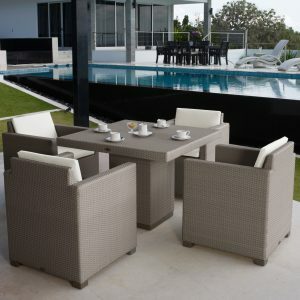 6 Piece set comes with 1 Sofa, 2 Arm Chairs, 1 Ottoman, 1 Coffee Table and 1 Side Table. 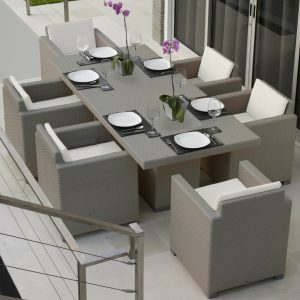 Cushions are made of high resiliency foam and covered with Sunbrella fabric. 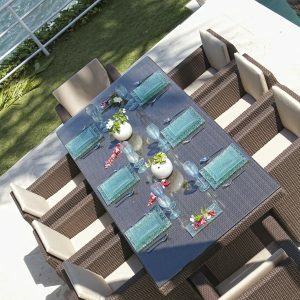 They are high performance, low maintenance, mold free, and are UV resistant. Cushions have a hidden marine quality zipper.